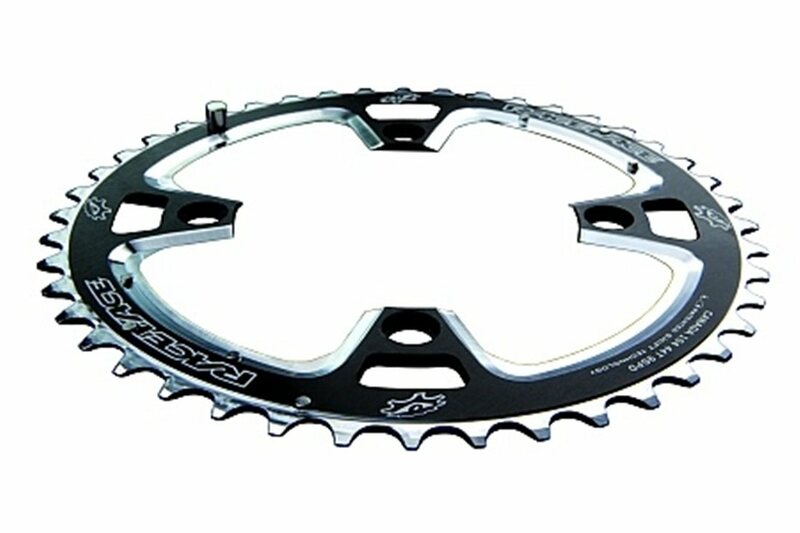 Race Face Team XC rings are lightweight chainrings that have been designed for optimal performance, featuring Race Faces patented S.H.I.F.T. technology, optimizing shifting performance by maximizing the chain to ring surface contact areas. The Team rings have been machine sculpted for maximum weight savings. This chainring works very well I installed it on my AM bike and it has had absolutely no problems whatsoever. It looks really nice and has not dented/scratched/bent during any of the multiple crashes I've had. I have the RF XC crank sets on two bikes and have been very happy with them. However, this individual replacement ring started chain sucking immediately. Had to closely inspect to locate tiny burrs and grind them off. So great product if you already have RF cranks, just inspect and clean them before install! great product, works great , no issues. Does this chain ring include new bolts? BEST ANSWER: This is just the ring. (Most rings do Not include bolts) re-used original bolts. I don't remember but I think so . Call Jenson support. No. Just the chain ring itself. I bought this for my 3x9 set. It is the middle ring out of 3 on the crank set. Works perfect. I used this as a middle ring in a 3 chaining setup. It’s the center ring on a 3 by 9 system. Is it compatible with a 9 speed xt crank? Will this work with a 7 speed cassette? Thanks! BEST ANSWER: It should work ,but it may not be ideal. I bought this for a 9-speed cassette, and 7-speed chains are wider than 8, 9, 10 or 11 speed chains. Can i used this on a 10-42t cassette?